Precision measurement technology and services for cleanrooms. From Testo. Cleanrooms require precise measurement methods in order to be qualified according to their areas of application and quality requirements. With highly precise measuring instruments from Testo, you specifically monitor temperature, air humidity, differential pressure and air flow. With the monitoring systems from Testo, you have all critical parameters permanently in view. Depend on precision in the application with measuring instruments from Testo in cleanrooms. It's not only about complying with norms, but primarily about the first-class quality of your products and processes! 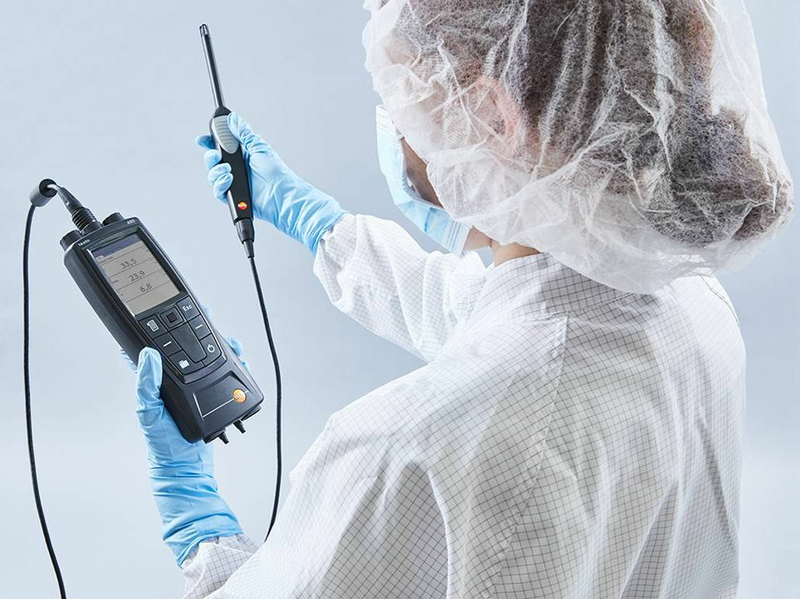 Testo measuring instruments ensure you the long-term security of a constant cleanroom environment according to your requirements and in compliance with the valid norms.